The Adam's Peak is one of the most secular yet religious landmarks of Sri Lanka. The Adam's Peak is also known to all as the Sri Pada or Samanala kanda. The mountain is on the range of the Ceylon and stands out among all being the tallest. The elevation of the peak is about 7300 ft above the sea surface level and the structure is like that of an Adam's apple of a man's throat. 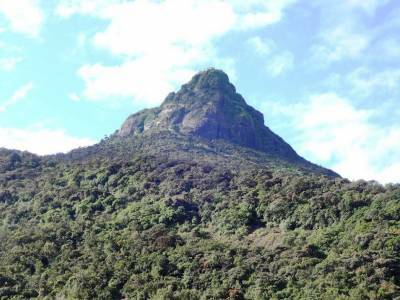 The popularity of the mountain peak of the Adam's Peak is due to its sheer's height. Tourists and travellers from all across the country come to visit the Adam's Peak in great numbers. The travellers from all over the globe also visit this natural wonder to get a glimpse of this cloud enshrouded Majestic Adam Mountain. The naming of the peak is the most important aspect of the Adam's Peak. The peak is revered in the christen sect because the tale of St. Thomas. The name of Adam's Peak is also spiritually respected both in Christianity and for some of the Islamic followers also as Adam was the father of all human being according to the bible. 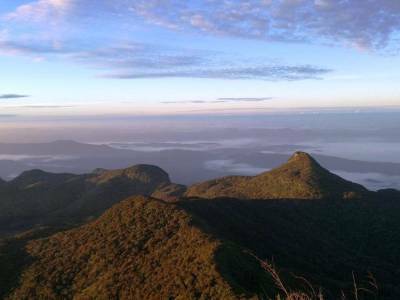 The depression on the Adam's Peak is one of the other reasons for the name of the place being the Sri Pada Peak. According to the Buddhist mythology this the foot imprint of the great Buddha on his final journey of life. Some also say that this is the impression Lord Shiva made by his trident. 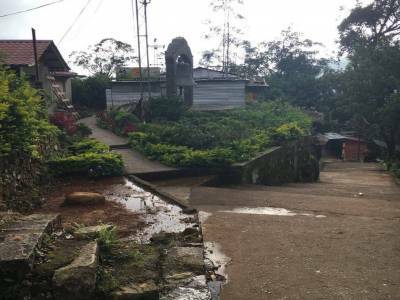 So this is the reason why the temple atop the Adam's Peak is revered and a place of pilgrimage for every Hindu, Islam, Christian and Buddhist followers. 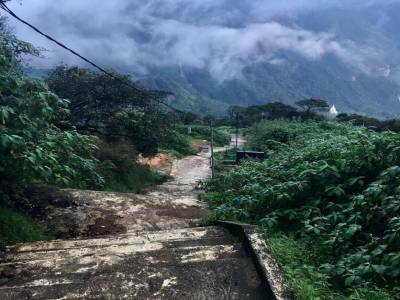 The travelling to the top of the Adam's Peak by the long and spiralling foot trails is the main tourism activity of this spot. The best time for visit is during summer months because at other times the temple remains covered in fog. 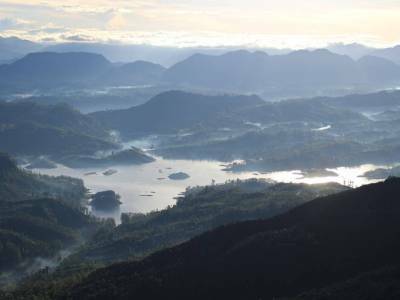 Get quick answers from travelers who visit to Adam's Peak.